Bruce Thornton, professor of classics and humanities at California State University and research fellow at the Hoover Institution, is today one of the most scathing voices in the academic and intellectual American landscape. In various books and essays he has contributed to demystify the myths and fetishes of liberal thought and enabled us to understand better the origin of the crisis which affects Western society. Among his books we wish to remember: Plagues of the Mind (1997), Decline and Fall: Europe’s Slow Motion Suicide (2007), The Wages of Appeasement: Ancient Athens, Munich, and Obama’s America (2011). Professor Thornton, let us start from a quotation coming from your last article about Islamic terrorism written for Frontpage Magazine, “Committed only to material goods and pleasures, how can we battle a foe passionately loyal to the spiritual? Despising our own civilization, how can we confront those fanatically assured of the superiority of their own? How can we defeat such an enemy when there is nothing we believe is worth killing and dying for?” These are compelling questions which address dramatically the core of the problem. Let me ask you the first one. How can we battle a foe passionately loyal to the spiritual? We must fight the battle on two fronts. First, we must recommit our civilization to its spiritual roots, the Classical/Judeo-Christian foundations from which flow our goods such as equality, freedom, tolerance, and human rights. This is a difficult task, but we cannot give up that fight in our work and lives. Second, we must press our leaders to recognize that we are at war, and must fight as fiercely as we did against Nazism. If the jihadists love death more than we love life, then we must give them what they love. The despising of our own civilization has gone on for many decades now. The West, according to its western critics, is responsible for every evil in the world. We have been projecting on the so called Third World the myth of pureness and innocence in order for us to feel more guilty for our wrong doings. What are, according to you, the origins of this of this self-flagellation? 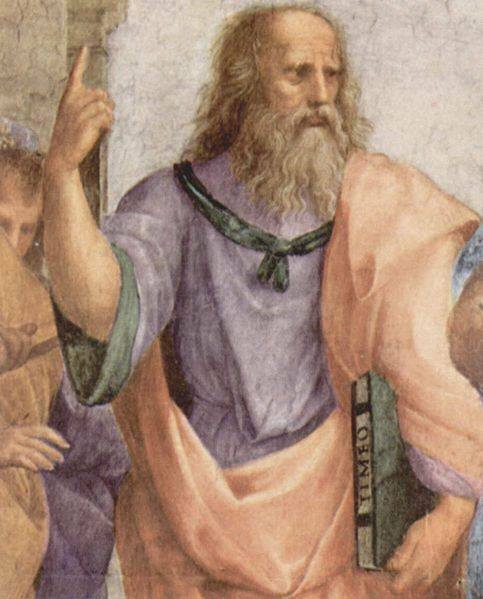 I believe it begins in something precious and unique to Western civilization: what I call critical consciousness: the willingness to question received wisdom and dogmas as Socrates did. But for most of Western history, critical consciousness was grounded in the transcendent, a spiritual reality that assured us there was the truth and the good for which we should be striving. Modern secularism destroyed that ground, and reduced critical consciousness to the “hermeneutics of suspicion” that typifies modernity’s trinity of Marx, Darwin, and Freud. Now we furiously attack our beliefs in the name of materialist, contingent ideologies that deny the spiritual reality of the human person, reducing us to mere things in the world driven only by our base appetites and the laws of physics. Postmodernism, deconstructionism, multiculturalism, have been among the factors which have powerfully contributed to the erosion of our identity and to a long established tradition of values which were able to give us coherence and stability. Are we really destined to succumb to Islam with “smug blindness and arrogant ignorance” as you write at the end of your article? Contrary to those movements you cite, humans are defined by spiritual freedom and free will, so we are not destined or determined to do anything. If we do succumb, it will be by choice, the same choice Eve and Adam made in Eden: to believe Satan’s lie that we can be gods, answerable to no transcendent power, and governed only by our transient and shifting bodily desires and comforts. Maybe when we are once again cast out of this material paradise will we will turn back to God. In the late Nineties, Samuel Huntington wrote, “The futures of the United States and of the West depend upon Americans reaffirming their commitment to Western civilization. Domestically this means rejecting the divisive siren calls of multiculturalism”. On a practical level how can this be achieved if it can ever be? In the U.S., hope can be found in the churches that still attract millions of believers. They don’t get a lot of attention from the media elites, but in their congregations and families they are keeping alive the spiritual truths that challenge the spurious cultural relativism of multiculturalism, which in fact is an ideology of power, not tolerance. The other source of hope is the charter school, home school, and private school movements that teach a Classical/Christian curriculum. Fostering their growth is very important. One of the great thinkers of the Twentieth Century, Eric Voegelin, in his Magnus Opus, “Order and History” has diagnosed the progressive political and ideological corruption of the West as a consequence of a deep spiritual pathology which has its origins in the progressive severing of its Greek and Judeo-Christian roots. Do you agree? Absolutely. The progressive movement worships what it calls science, but is really scientism: dressing up materialist metaphysics in the quantitative robes of real science, and reducing the human to just another thing in the world to be altered and controlled. The next step is to reject any authority that challenges their materialist dehumanization of the person: church, family, civil society, and tradition, the collective wisdom of the West that developed over centuries and is embodied in our greatest works of art and literature. This move leaves us without roots, tied to the present and its material pleasures, and dependent on the centralized power of the government to run our lives according to the needs of a technocratic elite. The result is the dehumanization of the free, spiritual, self-governing being that lies at the heart of our Classical and Judeo-Christian heritage. After centuries of philosophical debates, strife and wars here in the West, we reached the conclusion that tolerance is one of our greatest achievements, but isn’t it also the Trojan Horse that the enemies of our “open societies” use to weaken us? How can we combat intolerants by continuously showering them with tolerance? What we call tolerance is not real tolerance. The latter is the habit in free societies of acknowledging and tolerating diversity only in the context of an agreement about fundamental, non-negotiable virtues like the sanctity of human life, equality of opportunity, individual rights, political freedom, and the rest. What passes for tolerance today is merely a euphemism for a lack of belief and a will to stand up for our foundational principles, or a mask for intolerance of political differences. He who stands for nothing will stand for anything, including a murderous heresy that justifies a perpetual murder of the innocents. A great fiction has been built around Islam in order to represent it as a religion of peace and tolerance, notwithstanding the overwhelming evidence that it is not and it never was such a thing from its inception. According to you what are the main reasons behind this forgery? Historical ignorance, of course. But secularism is the main reason: our governing elites do not take religion seriously. Having reduced faith to a Marxian “opiate” or a Freudian “illusion,” they look to material causes to explain social dysfunction and violence. Since faith is just another life-style choice, none of which is better than the other, their minds cannot comprehend that there are people who do take faith seriously enough to murder in its name. Also, Noble Savage multiculturalism, predicated on a demonization of the West, idealizes any culture that is exotic and a victim of the evil West. In his recent journey to the Middle East, President Trump has stopped in Riyadh before coming to Israel. 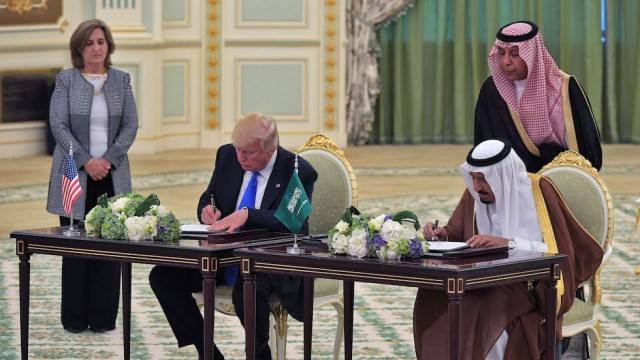 He has signed a big economic deal with the Saudis and declared they are willing to collaborate against Islamic terrorism, however we know very well that no one has contributed like the Saudis to the spreading of Wahhabism in the West. How much credibility has this alliance for you? IF it bears fruit in resisting the hegemonic pretensions of Iran, then it will be a good idea. We can’t always pick allies with clean hands: remember, in World War II we had to ally with one of the most evil and murderous regimes in order to defeat another. That’s the tragedy of human choice: it’s not between the bad and the good, but often between the bad and the worse, and always has unforeseen consequences. 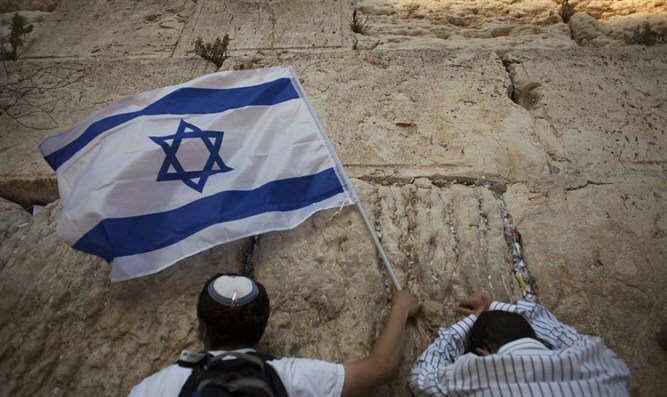 Would you agree that in Europe and also in the United States, the vilification of Israel by the left is, among other reasons, part of the same process of hatred of the West and its liberal Judeo-Christian values? Yes. But don’t forget, anti-Semitism didn’t end with the Holocaust, it went underground and was rebranded as anti-Zionism. And the left hates any successful society that achieves prosperity and political equality without following their sacred Marxist/collectivist dogmas. The cult of death and the glorification of martyrdom are among the distinctive factors of Islamic and Palestinian jihadism. Israel has been facing this crude reality for many decades, but still, by many westerners, it is Israel who is seen as the oppressor and the Palestinians as the victims. Pro-Palestinianism has become a religion in it’s own terms. Would you like to comment on this? 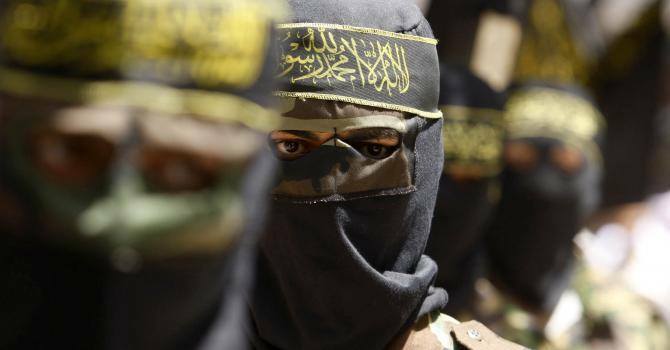 The Palestinian Arabs have been brilliant in exploiting Western obsessions and narcissism. We know the attacks on Israel for a century have been episodes in a jihad against former dhimmis who threw off their Muslim overlords and then created a state light-years ahead of any in the Muslim world. After violence failed, the Arabs convinced the West that the issue was really anti-colonialism and national self-determination, motive preposterous coming from Muslims, who have been one of history’s greatest imperialist powers, and who see the nation-state as a foreign imposition on the world-wide umma that should be ruled by a caliphate defined by universal sharia law. And again, Western useful idiots are suckers for “freedom-fighters” and “revolutionaries,” particularly when they are Noble Savages.